Les industries Cendrex specialize in the manufacture of all kinds of access doors and panels. We were given the mandate to market their innovative products to a B2C clientele. 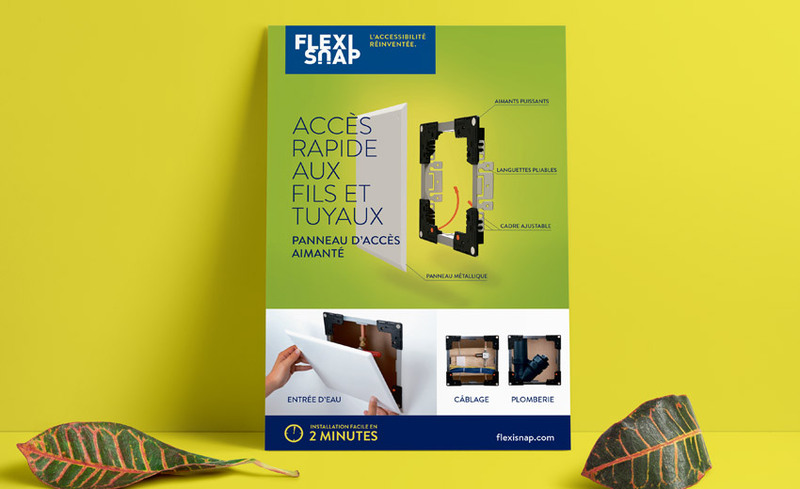 Thus, the FlexiSnap magnetic access door and panel made its way on the shelves of all the RÉNO-DÉPÔT, RONA, Patrick Morin, and Lee Valley stores located in Quebec and Ontario. + Establish a unique brand positioning. + Create a bilingual name for the brand. + Create new and very bright packaging, as well as a masterpack. 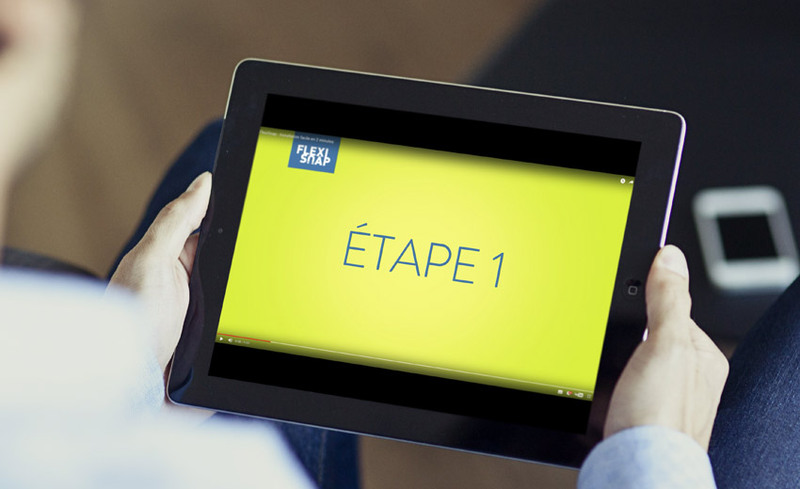 + Design practical and eye-catching sales tools. + Trade show presence (National Hardware Show and Salon Rona 2017). 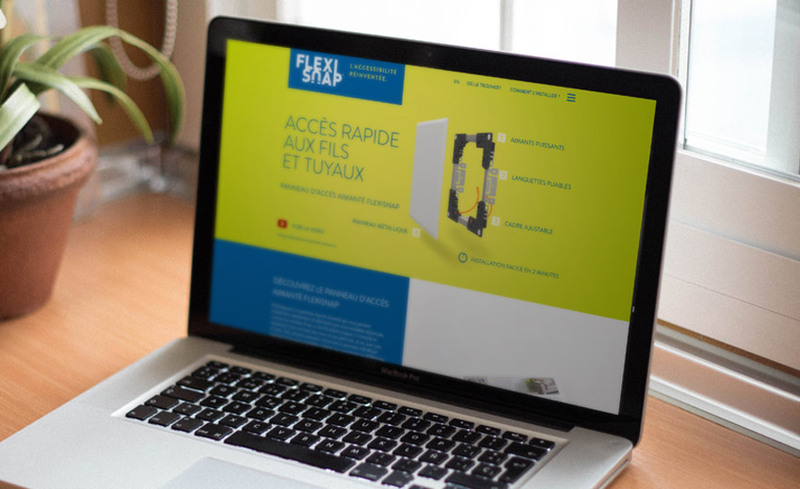 + Create and develop a bilingual website, flexisnap.com/en/, featuring a video tutorial on the installation of the access door and panel (a Service-Station creation), a store locator tool, as well as a blog section. 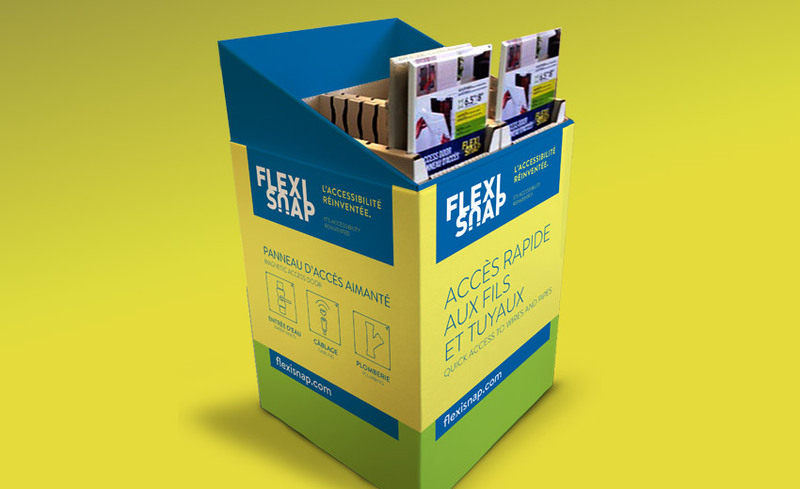 + A 6-week campaign featuring our 15 second television commercial on RDS during the NHL playoffs. + Create and send a promotional newsletter. + Several SEO and programmatic web actions. 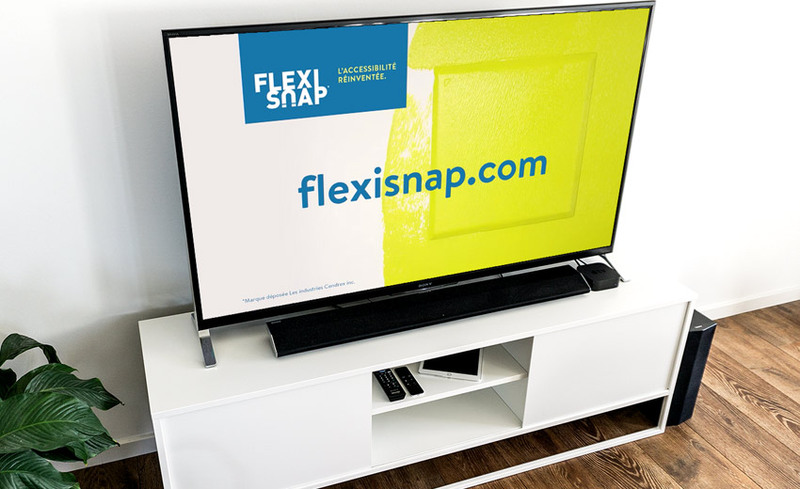 + The YouTube pre-roll ad placements were also a success, which confirms that the FlexiSnap access door and panel made a spectacular entrance on the market. + Develop a social media strategy, produce content and manage 4 social media platforms (Facebook, Instagram, Pinterest and YouTube), as well as create Facebook ad campaigns. + Create interesting and SEO adapted bilingual blog content. Stay tuned – more initiatives to come!